53116 leads a six car Class 116 formation past Naas Crossing at Quedgeley on 18 August 1984 with the 08:48 Birmingham New Street to Bristol Temple Meads service. 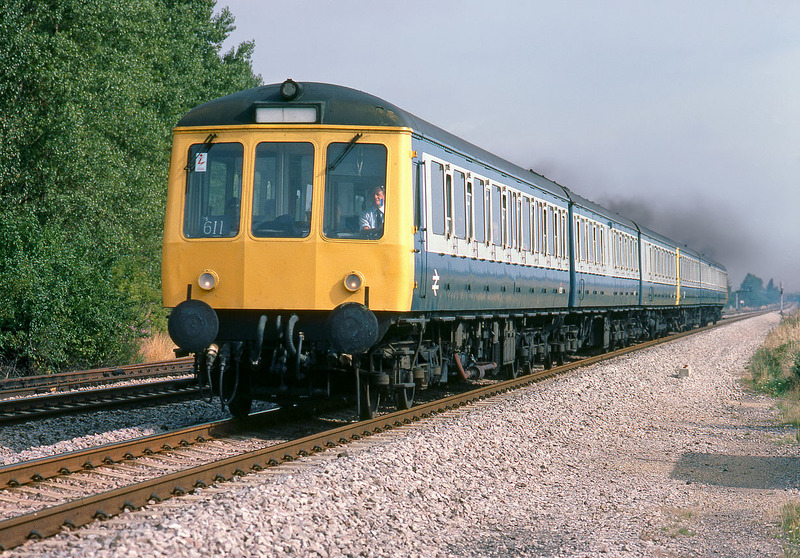 Unlike Western Region sets London Midland allocated DMUs were not kept totally permanently coupled in sets such as to warrant painted set numbers on the ends as the Western did. However, Tyseley's units came fairly close to being permanent, and so set numbers were allocated, as can be seen by the TS611 notice behind the windscreen.